Ever wonder how they get those beautiful Italian supercars from Maranello to your questionable favorite Miami exotic car dealership? They fly the friendly KLM skies in a Boeing 747-406F. We knew the day would finally come when Planelopnik and Jalopnik would finally mix, but thanks to our boy Aaron, that day came sooner than we thought. Cha-ching!! 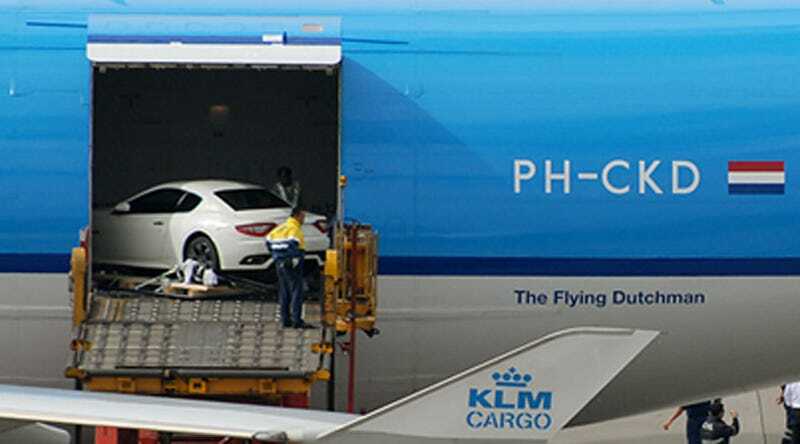 Apparently the two Ferrari F430s and this Maserati Gran Turismo are being unloaded in Hong Kong for a local auto show. We say f&@k the economic crisis and it seems that we're not the only ones as evidenced by the image below. Do you think they get double the air miles for something like this?